In 1995, a Russian aircraft carrier is destroyed by a mysterious creature that just as mysteriously disappears thereafter. Three hundred years later, Counsellor Troi awakens in her quarters from a nightmare in which she senses the voices of the crew of that Russian ship, whose life-essences were somehow absorbed by the creature that destroyed them. 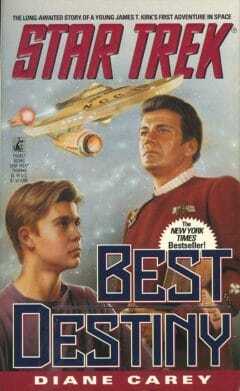 A trip into space with his father George and Starfleet legend Captain Robert April changes young James Kirk's life forever. 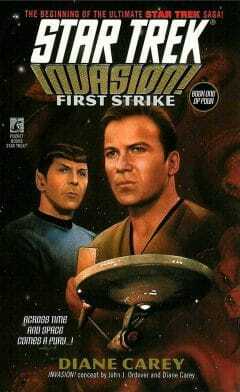 Kirk and his father find themselves fighting for their lives against a vicious and powerful enemy. Star Empire is the Federation's most powerful new weapon - a dreadnought, first in a class of super-starships - capable of outgunning a dozen Klingon cruisers. 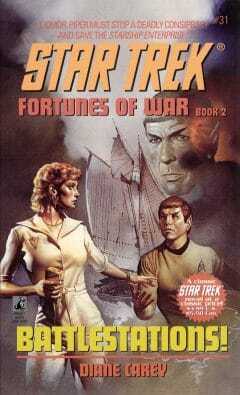 On the eve of her maiden voyage, Star Empire is stolen by terrorists who demand a rendezvous with the Enterprise. 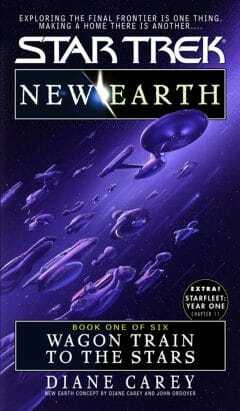 Receiving a surprising cry for help from the Klingon Empire, Captain Kirk learns that an alien civilization once owned the section of space belonging to the Klingons, Romulans and Federation, and has come back to reclaim it. Kirk is wanted for questioning in connection with the theft of transwarp, the Federation's newest, most advanced propulsion system. Captain Morgan Bateson takes the USS Enterprise NCC-1701-E on a mission to counter a Klingon threat, only to be thwarted by his enemy. 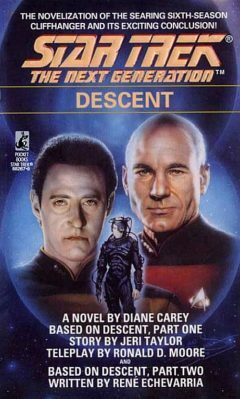 Picard must choose whether to take back command of the Enterprise or let the torch pass to yet another next generation. 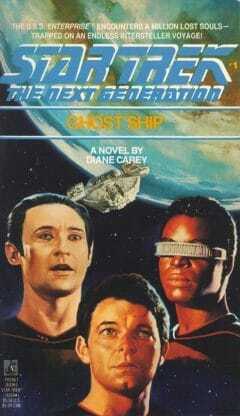 No longer mindless, inhuman drones, the Borg are on a mission to assimilate all intelligent life. Their new goal is the complete destruction of the Federation. Captain Picard learns that he may be the cause of the change. The Federation's flagship, the U.S.S. 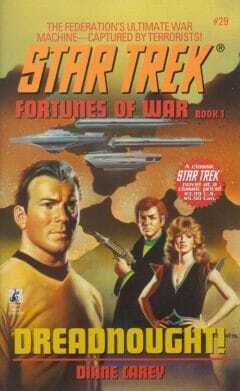 Enterprise under the command of Captain Kirk, is sent to compete in a starship race. 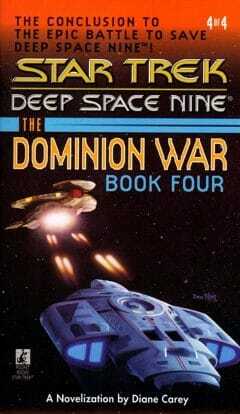 But the event takes a dark turn when a Romulan warship arrives and demands to join the race. 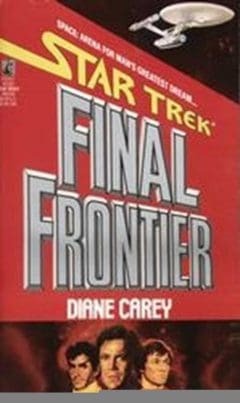 Soon, Kirk and the Romulan commander are engaged in a deadly game of cat and mouse, and, for Kirk and his crew, the race becomes a struggle for survival. 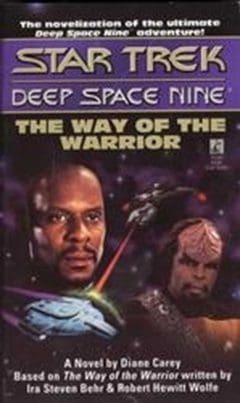 Captain Sisko and the Deep Space Nine team must find a way to close down the wormhole to the Gamma Quadrant before the entire Federation is enslaved by the Dominion. 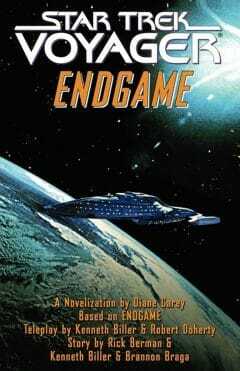 Jonathan Archer, the first Captain of the Starship Enterprise, must lead his crew on their mission to explore the universe, but first they must get past the Klingons, in a novelization of the pilot episode of Star Trek: Enterprise. The U.S.S. Enterprise is caught in the middle of a Klingon/Romulan battle and are confronted by a Klingon who claims to know nothing of human existence. 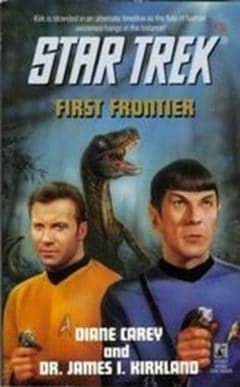 Arriving on Earth, the Starship Enterprise crew finds that Earth is a vast jungle-like paradise where large, reptilian animals rule, with no signs of human life anywhere. 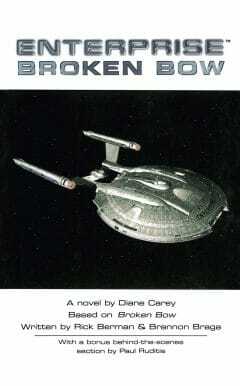 Kirk must travel to the past in search of the key to the mystery, or face the destruction of the human race. At last, Voyager's epic trek may be nearing its end. 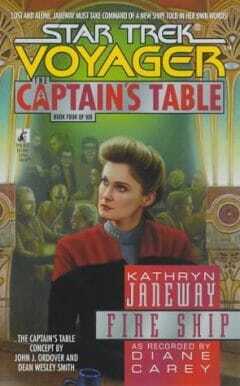 After so many perilous and astounding adventures, will Captain Janeway finally bring her wayward starship back to the Alpha Quadrant? 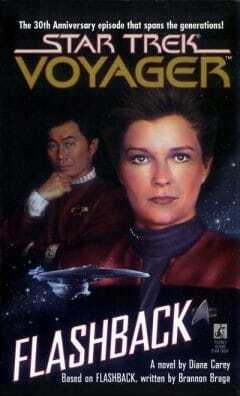 As the ultimate destiny of Voyager is revealed, all that is certain is that nothing will ever be the same. 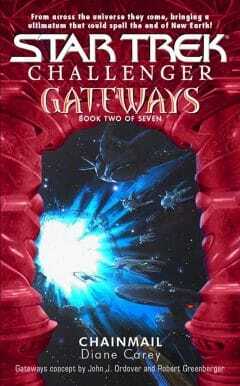 The threat of the Gateways - portals that allow for travel to other times and places - is finally destroyed, in this explosive conclusion to the Gateways series, in which Captains Kirk, Picard and Janeway, Colonel Kira Nerys, and the crews confront untold perils in the distant reaches of space. 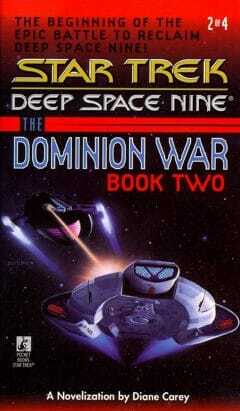 The conclusion to the epic battle to save Deep Spce Nine! 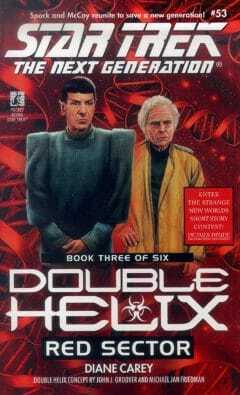 An artificial virus has infected the entire Romulan ruling family. 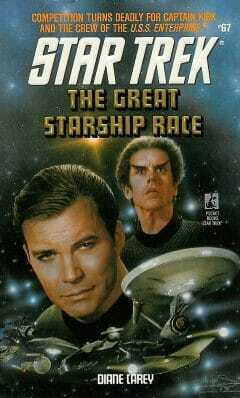 Ambassador Spock must put aside his efforts at unification to summon his old friend, Dr. McCoy, who discovers that the only hope for a cure lies with a long lost Romulan heir. 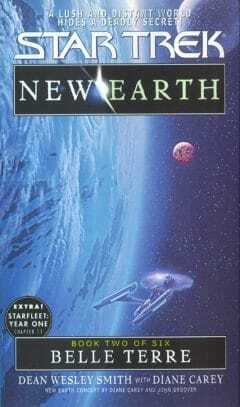 Kirk's new mission is to lead a valiant group of settlers to a distant world, to defend the struggling colony from alien threats and to explore the diverse mysteries and dangers of a strange new Earth! 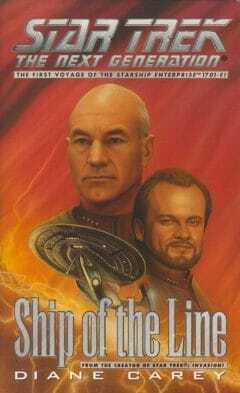 Worf finds his honor tested when he goes undercover to infiltrate a planetary criminal network. How can he root out the corruption on Sindikash without resorting to deceit and treachery himself? 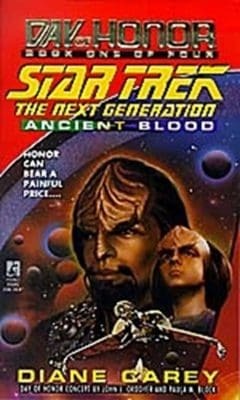 Worf's dilemma is shared by his son Alexander, who searches for the true meaning of honor in his own human heritage. Colonists of Belle Terre have barely settled on their new home when Spock makes a startling discovery: not only does the planet's moons contain a rare ore of almost inestimable value, that same moon is also violently unstable. 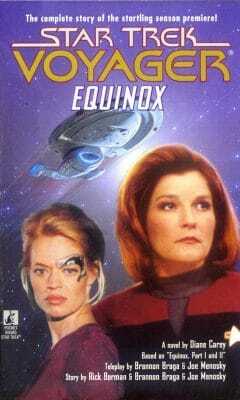 Captain Janeway discovers a second Starfleet ship stranded in the Delta Quadrant, the USS Equinox, a starship suffering from repeated attacks by extra-dimensional predators. 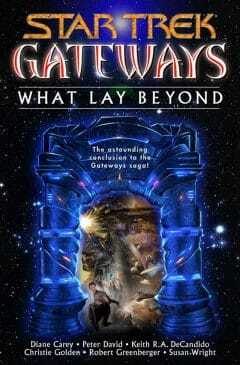 Twenty years ago, in the space near Belle Terre, a caravan of alien vessels disappeared into a gigantic Gateway. Now the descendants of those aliens have returned, armed with incredible new weapons and abilities. 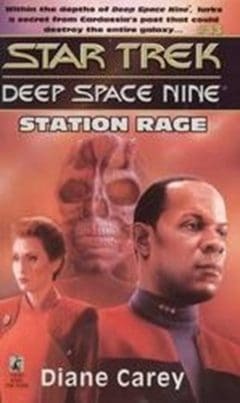 Captain Nick Keller of the USS Challenger, already struggling to maintain peace in the troubled sector, must now cope with a fleet of hostile aliens driven by their own fanatical agenda!